At New Hope we believe in creating environments to foster spiritual growth. We believe in our students and want to see them grow in their personal walks with the Lord! We do our best to have fun but also dig into the Word and discover how it applies to us today. 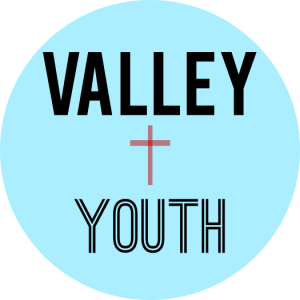 Valley Youth exists for students to become passionate followers of Jesus Christ! If you are in grades 6-12 then Monday nights at New Hope from 7-8:40pm are for you! ... During Monday nights, Junior & Senior High teens gather together to play games, connect with friends, and talk about Jesus. Our teens are encouraged to read the Bible, ask questions and are challenged to take practical steps in their faith journey. Pastor Isaac (Tree) Russell #678-2222 or use the email box below.